Preparing yourself for a family camping trip is an artful balance: you want to be ready to address issues that arise without stuffing your entire kitchen and supply closet into your car (is there even room to bring the kids anymore?). So we’ve developed the comprehensive list of all the groceries and cooking equipment you need for a perfect family camping trip—check it out below so you can leave a little stress behind on your long weekend. Enjoy all the sunshine, s’mores, and fam snuggs possible in the great outdoors, stress-free! Dinner: Keep it simple (and delicious) with hot dogs! They’re easy to store, simple to make, and such a delicious, classic campfire meal. Breakfast: Scrambled eggs, coffee, and fruit! 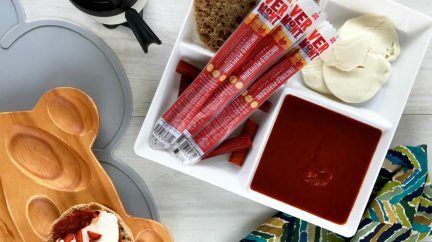 Fry up some classic scrambled eggs and add our Smoked Pepperoni for a delicious, easy, and filling twist. Slice up some fruit and serve with coffee made in your French press. 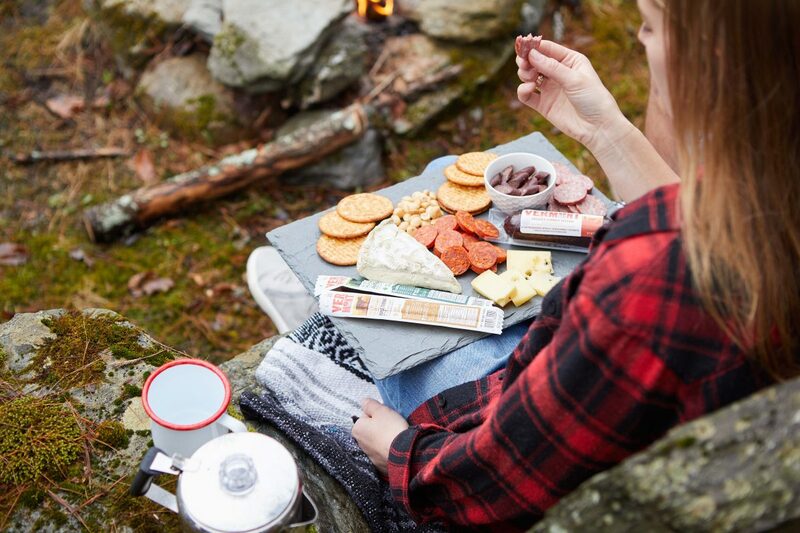 Dinner: Elevate your camping experience to “glamping” with a fireside charcuterie board. 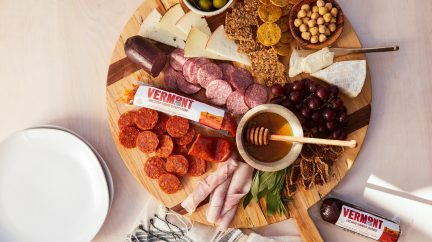 Whatever cutting board you brought can easily double as a charcuterie board for this occasion! 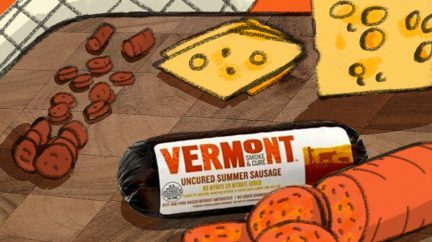 Keep it simple (but tasty) with sliced Cabot cheese, crackers, sliced Vermont Smoke & Cure Smoked Pepperoni and Summer Sausage, diced Vermont Smoke & Cure Grass-Fed Beef Sticks, olives and some nuts. Breakfast: Patagonia Provisions. We loveeee this easy hot cereal, just boil some water in your pot, add to the cereal mix, and stir! Lunch: We recommend pre-making a bean salad (this is our favorite) to use for Sunday lunch. It’s also great for any sudden spikes of hangry when you quickly need a filling snack for your fam. Breakfast: Make Saturday’s breakfast again with the remaining eggs and fruit! Last but absolutely not least.. coming prepared with a variety of snacks is very important. We recommend a trail mix, nut mix, chocolate, fruit, and our new Grass-Fed Beef Sticks! Simplify your camping trip by using our printable shopping list for grocery shopping and packing! Let us know if we left anything out. 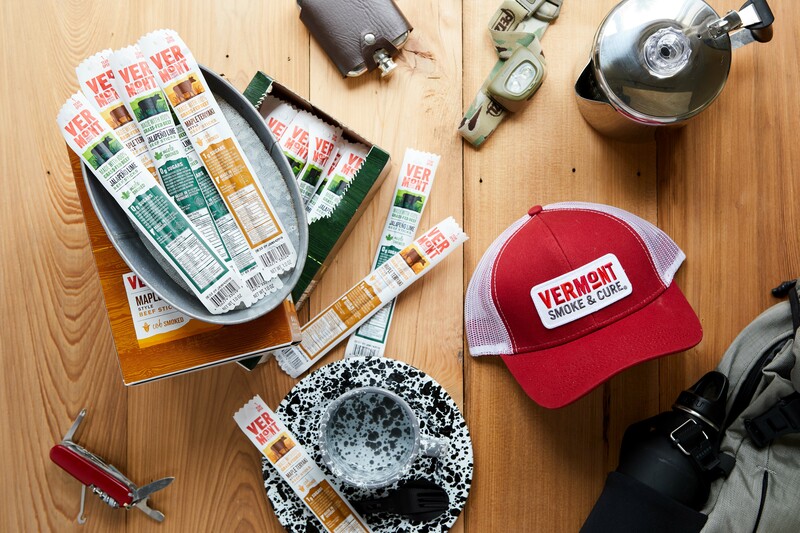 And as always, we love to see your adventures, tag @VTSmoke so we can follow along!